Lubbock Heritage Society is offering a Saturday June 7 trip from Lubbock to the Goodnight Historical Center http://www.armstrongcountymuseum.com/goodnight-historical-center.html off US Highway 287 nine miles east of Claude Texas, followed by a chuck wagon lunch of brisket and trimmings, followed by a trip into Claude and a tour of the Armstrong County Historical Museum 121 North Trice Street, Art Gallery, the historic Gem Theatre, http://www.armstrongcountymuseum.com/gem-theatre.html and the old Claude school. The air conditioned bus is boarded at the Buddy Holly Center http://www.mylubbock.us/departmental-websites/departments/buddy-holly-center/home 1801 Crickets Avenue south parking lot at 8:00 am and the return will be to that location about 7:00 pm. The route is said to be “the scenic route” which to me means that the bus will leave Lubbock on US Highways 62/82 and Texas State Highway SH 114 going east to Idalou, Lorenzo and Ralls. At that point the bus will head north on Texas SH 207 one of the state’s most scenic highways to Cone, then cross the White River, Floydada, South Plains [western terminus of Caprock Canyons State Park & Trailway], Silverton, cross the Tule Creek dam and a rather dry Mackenzie Lake [reservoir] into Tule Canyon, http://www.tpwd.state.tx.us/fishboat/fish/recreational/lakes/mackenzie/access.phtml then cross the Prairie Dog Town Fork of the Red River in Palo Duro Canyon, http://www.scenicusa.net/072212.html and on to Claude Texas. The morning trip will show the canyon lands with the sun in the eastern sky, while the return trip will provide an entirely different vista with the sun in the western sky. Both are remarkably gorgeous. The juxtaposition of the canyon lands and the panhandle and caprock high plains is made abundantly clear. The immediate setting of the escarpment is almost unique. The cost is $45 per person payable on or before June 3 to Treasurer Gretchen Scott, Lubbock Heritage Society 4012 69th Street, Lubbock Texas 79413 phone 791-5456 e-mail gretchen@wmrsco.com and the fee covers the transportation, lunch and entrance fees. Purchases at the gift shops/stores are made at your own discretion. Texas SH 207 starts at Post Texas and ends at the Oklahoma state boundary. North of Claude it goes to Conway, Panhandle, Borger [eleven miles west is Sanford Dam on the Canadian River creating Lake Meredith], crosses the Canadian River, Stinnett, Spearman and the border leading to Guymon OK county seat of Texas County Oklahoma. If one doesn’t take this particular Lubbock Heritage Society trip, a shorter scenic drive is to take US Highway 84 southeast off the Caprock through Slaton to Post in Garza County and then take Texas SH 207 north to Ralls, crossing Yellowhouse Canyon and the North Fork of the Double Mountain Fork of the Brazos River in southern Crosby County, and come back into town. Tracing the escarpment mini canyons, most of them box canyons dead-ending into unscalable bluffs, and then rising again onto the Caprock, is a fascinating exploration and equivalent to what folks did in the 19th century on a pony. If you like to dream about reality in another time, there is a story about a US Army Cavalry unit on patrol that ran into a small band of Comanche and charged but the Lords of the Plains were on horseback and bolted in several directions. One trooper chased a Comanche as he rode into one of those box canyons in the escarpment, dismounted and shot at the trooper who dismounted, and they seemed to be in a standoff until the trooper realized that the Comanche had sneaked farther into the bluff and scrambled up it. Furthermore, his horse had run away. While the trooper rejoined his unit the Comanche band reunited up on the Caprock somewhat amazed at the ineptness of their foe. John Graves retold that story in his short story The Last Running, Atlantic Monthly Magazine, June 1959 reprinted inter alia as The Last Running: A Story (drawings by John Groth, Lyons & Burford Press 1990 in 64 pages)ABE Books in good condition $26.32 incl s&h http://www.thewittliffcollections.txstate.edu/research/a-z/graves.html Lyons & Burford (1990), New York, 1990. In 1923 an old Comanche named Starlight comes from an Oklahoma reservation to Texas with eight compatriots and demands of old Tom Bird the largest of his buffalo, which the Indians eventually kill, in less than a graceful manner, and then head home. Such is the bare frame of this remarkable story, filled with remembrances of old raids, narrow escapes, days of intense confrontation and bold blood, now gone. “It is a classic in its idea,” says A. C. Greene, “and an artistic masterwork in its fulfillment.” The text is handsomely illustrated with drawings by the late John Groth. The respect by Starlight for Tom and vice versa and what caused it render this short work a marvel in inter-ethnic studies. The inability of several Comanche to perform what they’ve been told about but never done before, is heart rending. Their keen felt need to do so is appreciated by Tom who finally relents and allows the slaughter of a bison bull. Everyone is reduced by the situation but the humanity of the men and inhumanity to the bison are riveting. Paul M. Baars, Optical Illusions (Harry N. Abrams 2014) is an interesting book collecting varied forms of illusions. The author is a graphic designer based in Amsterdam Holland. ABE Books new $19.13 incl s&h. Optical Illusions (DK Publishing 2012) is also worthy of attention. the profile of Mandela appears through 50 carefully displaced steel columns anchored to concrete covered ground, representing a 27 year prison confinement during which he was never not viewed and known as a living symbol. http://www.mymodernmet.com/profiles/blogs/huge-3d-wall-murals-are-off John Pugh muralist specializes in optical illusion art in public places. His mural Siete Punto Uno [seven point one] in Los Gatos California http://artofjohnpugh.com/murals/ tells a story. It is on the side of a building The Pastaria & Market at 49 East Main Street http://www.thepastaria.com/ in a city that suffered from the 1989 Loma Pietra earthquake. The mural includes two large cats [gatos] but also the Mayan jaguar god who was believed to be a propitiation agency for such calamities. The contemporary woman looking inside the Mayan temple is not outside the wall, for she is part of the painting, [tromp l’oeil] thus collapsing time in representational art. The mural deteriorated over twenty years and there is now a movement to restore it. Its earlier vibrancy is appreciated by viewing the Internet photograph image. http://www.americanmosaics.org/pdffiles/20030600_GroutSummLR1pg.pdf is an article on the Levelland Mosaic Murals. Is there something in the air or water that produces artists in Hockley County? Cam Dockery near Whitharral is a self-taught chain saw wood carver http://www.texassaw.com/ with amazing outcomes, just 11 miles north of Levelland. Student Union Building http://www.depts.ttu.edu/sub/history.php at Texas Tech University has many meeting rooms, listed as follows: Arroyo, Bell Tower, Brazos, Canyon, Caprock, Double T, Llano Estacado, Lone Star, Lubbock, Masked Rider, Matador Room, Matador Lounge, Mesa, Playa, Scarlet & Black, Senate, Soapsuds, Toreador, and Traditions http://www.depts.ttu.edu/sub/reservations/MeetingRoomPictures/ plus specific use areas such as Stars and Stripes Military, Veterans and Family Lounge, the 986 seat Allen Theatre [first floor] and 100 seat Escondido Theatre [basement], Red Raider Ballroom and Red Raider Lounge, and Barnes & Noble Bookstore [basement and first floor] at Texas Tech University. http://www.depts.ttu.edu/wstudies/images/SubMap-1.pdf SUB also contains counters for obtaining services such as e-raider accounts and debit cards with purchased funds usable on the cards at various establishments on campus including vending machines and eateries in the SUB and other locations. If a member of the public wished to use the main Texas Tech Library one first needs to acquire an e-raider account and card at the SUB and then go to the Library. Actually one could then just drop into a SUB computer room and get online and enter your e-raider account number and get into the electronic Library catalogue to find what you’re interested in, including its availability. Rural Mississippi born and raised Elizabeth Spencer, novelist and short story writer, is 92 years of age and still writing http://www.elizabethspencerwriter.com/ The best of her novels may be No Place for an Angel (McGraw-Hill 1967) Texas Tech Library PS3537.P5 N73 ABE Books good condition $6.90 incl s&h but her first is still appealing Fire in the Morning (McGraw-Hill 1968 written 1948 at age 26) PS3537.P5 F5 digitized in 2012 for download by University Press of Mississippi. ABE Books in good condition $3.41 incl s&h. Landscapes of the Heart: A Memoir (Random House 1998) Tech Library PS3557.P4454 Z47 ABE Books good condition $10.48 incl s&h. Her short story collections include Starting Over: Stories (W.W. Norton & Co 2014) Tech Library PS3537.P4454 A6 The Southern Woman: New and Collected Fiction (2001) going back to Ship Island and Other Stories (McGraw-Hill 1968) Tech Library PS3557.P5 S5. See a review by Michael Gorra, The Brilliant Explorations of Elizabeth Spencer, The New York Review of Books, May 22, 2014 at page 26. The Light in the Piazza (McGraw-Hill 1960) Tech Library PS3557.P5 L7 is a novella of six connected tales reissued in 1996 PS3557.P4454 L54. It was made into a film Light in the Piazza in 1962 http://www.imdb.com/title/tt0056183/?ref_=fn_al_tt_1 remastered and reissued as a DVD in 2011 and a Broadway musical in 2005-2006 nominated for a Tony as Best Musical and it won a Tony for Best Score http://www.rnh.com/show/62/The-Light-in-the-Piazza . Lubbock Public Library has The Voice at the Back Door (McGraw-Hill 1956) ABE Books in good condition $3.56 incl s&h. Elray McKinney is 95 years of age, living in Lubbock, and the subject of Ray Westbrook’s human interest story Elray McKinney is family and museum oriented person, Lubbock Avalanche-Journal, Sunday May 11, 2014 at page A8. http://lubbockonline.com/life/2014-05-10/elray-mckinney-family-and-museum-person#.U3FOa4FdWtg Her oral interview June 23, 2004 is on file at the Texas Tech Southwest Collection Library http://collections.swco.ttu.edu/handle/10605/1435?show=full At age 6 she was brought by her father from their Brownfield farm into Lubbock for the opening of Texas Technological College in 1925. She later entered that college as a student in 1936, graduated and went to work in Santa Fe New Mexico but ultimately returned to the Lubbock area where she has been a patron of the Texas Tech Museum when it was in Holden Hall curated by Curry Holden as well as the new 1970 museum on 4thStreet. She recalls Arts History Lecture Series events as long ago as 1960 when Rabbi Alexander Kline started the series. The Kline Room on the second floor is named for him. Her children Devon McKinney Mora, daughter, and Robert McKinney, son, both live in the Houston area. They confirm her family and museum tales. Art on the Llano Estacado Exhibition and Sale www.artonthellanoestacado.com is a Texas Tech Museum Association fundraiser offering a chance to purchase donated art at a gala event with cocktails and dinner on the evening of Friday June 6, 2014 at the Texas Tech Museum Helen DeVitt Jones Sculpture Court. $250 per person is the ticket for the event. Forty artists making the donations have priced their donated piece, drawings will be held for the chance to purchase at that price, and if three winners decline to purchase, it will be offered at a lower price in a new drawing. Art that is not sold during the evening will be available to the public for purchase the following day Saturday June 7 from 10:00 am – 4:00 pm no admission price to shop. May 14-25 is the 2014 Cannes France International Film Festival and here is a photo of the president and director Jane Campion arriving on May 13 http://www.apimages.com/metadata/Index/France-Cannes-Film-Festival/02fbefa27d2e47ee984b0a248ba9b283/15/0 This is the lineup of films that made the cut http://www.festival-cannes.fr/en/archives/inCompetition++++.html Mr. Turner (2014 at 149 minutes) is an exploration of the eccentric British painter J.M.W. Turner’s last quarter century of life. The Homesman (2014 at 122 minutes, directed by Tommy Lee Jones) stars Tommy Lee Jones, Hilary Swank, Meryl Streep, James Spader and John Lithgow. The 17th annual multi-denominational Dallas Benedictine Experience will take place at The Catholic Conference and Formation Center in Dallas, Texas from Wednesday, June 25 through Saturday, June 28, 2014. This monastic experience is presented by The Friends of St. Benedict, Washington, D.C. and is open to men and women, laity and clergy of all denominations. 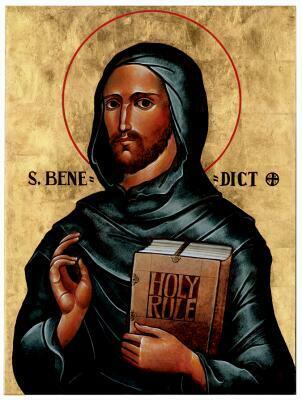 Participants will live on the campus of the center for four days, forming a temporary monastic community to experience the balanced way of life of The Rule of St. Benedict as it divides each day into private and group prayer, study, work, and monastic silence. Four Benedictine Offices (Lauds, Sext, Vespers, and Compline) will be chanted each day in English in Gregorian chant. For further information, please e-mail dallasbenedictine@yahoo.com or call 214-339-8483. There are 30 teams in the National Basketball Association but only four are left on Sunday May 18 as the Eastern Conference and Western Conference finals begin # 1 Indiana Pacers 56-26 v. # 2 Miami Heat 54-28 in the East and # 1 San Antonio Spurs 62-20 v. # 2 Oklahoma City Thunder 59-23 in the West. The playoffs ended with the top two teams in each conference playing for the title and the right to play for the NBA championship. The Miami Heat won the NBA Championship a year ago and will be difficult to dethrone. Go Pacers, Go Spurs, Go Thunder! Osher Lifelong Learning Institute at Texas Tech University is offering a Quanah Parker Trail bus trip on Tuesday June 3, 2014 from 1:00 pm – 5:30 pm $45 led by Holle Humphries who is an executive with the Trail. http://texasplainstrail.com/partners/quanah-parker-trail-0 The Lubbock giant steel arrow is in Mackenzie Park on the property of the Bayer Museum of Agriculture. http://www.quanahparker.org/ The giant arrow in Crosbyton is in the City Park. No doubt the bus will enter Blanco Canyon where there is much history for Quanah and his band of Kwahadi Comanche.